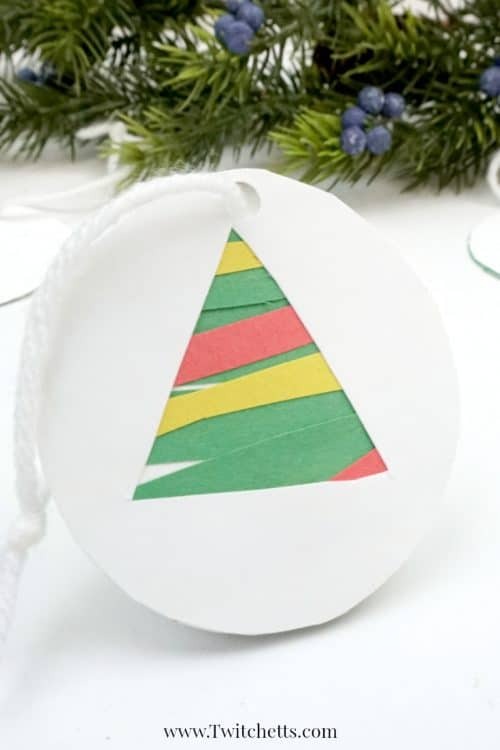 This easy paper Christmas tree ornament is a fun paper cutting craft for those preschoolers who are mastering their cutting skills. 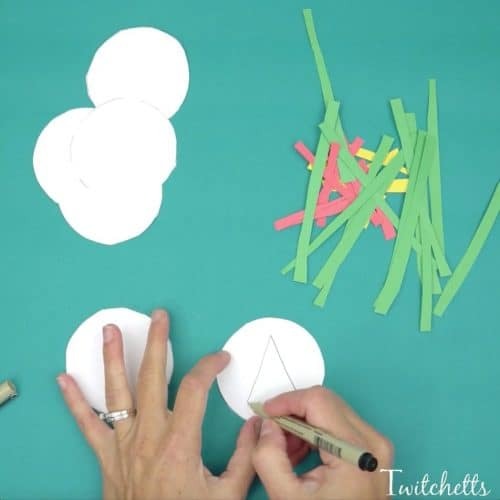 Grab some construction paper and some kids’ scissors let’s create! If there is one thing my little preschooler will sit around and do, any chance she gets is using her scissors! 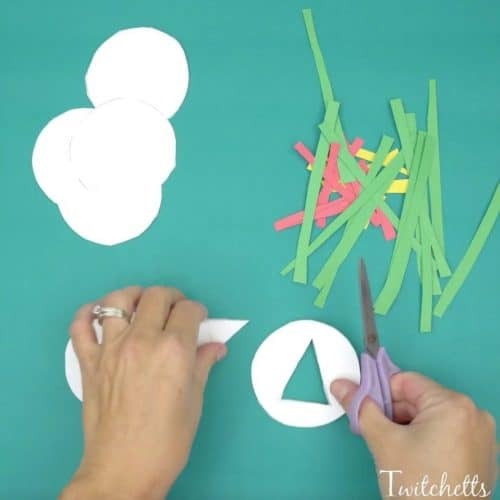 While developing scissor skills is great, having a bunch of scraps of paper around isn’t always ideal. 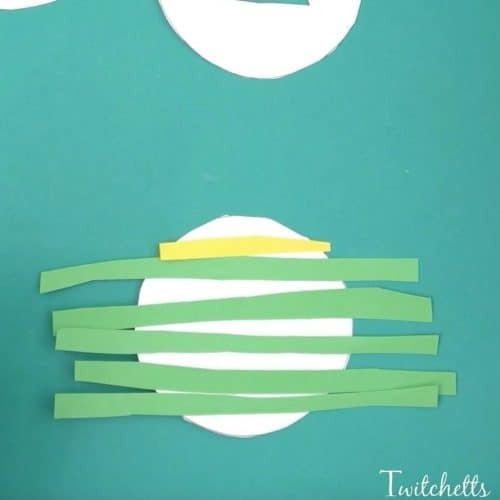 This is why in our book Construction Paper Crafts for Kids we have a whole chapter on ideas of what to make with hand cut paper strips! 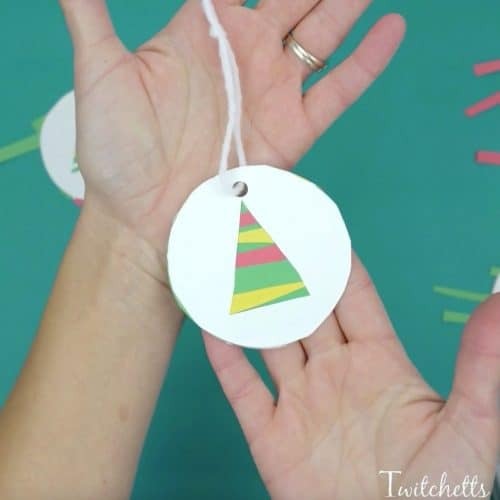 These ornaments are a smaller version of the suggested tree from the book. Construction Paper. Green & decoration colors. Something Circle. The size you want your ornaments. **Or grab our template here! 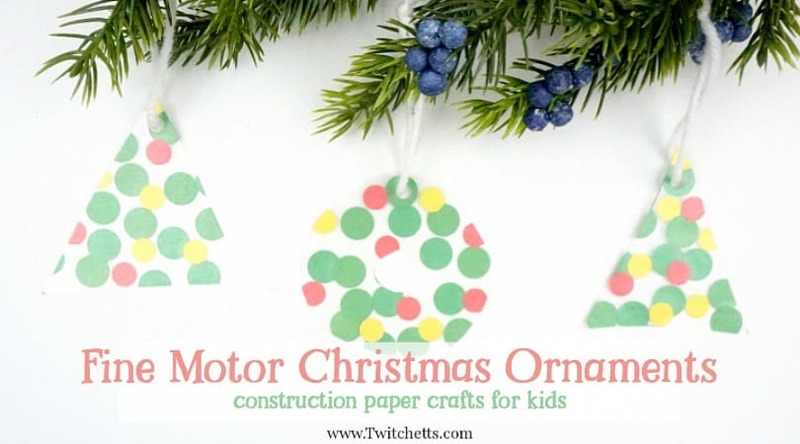 Here is the step by step instructions for creating paper Christmas tree ornaments. Stick around to the end and watch a quick video of the whole process. 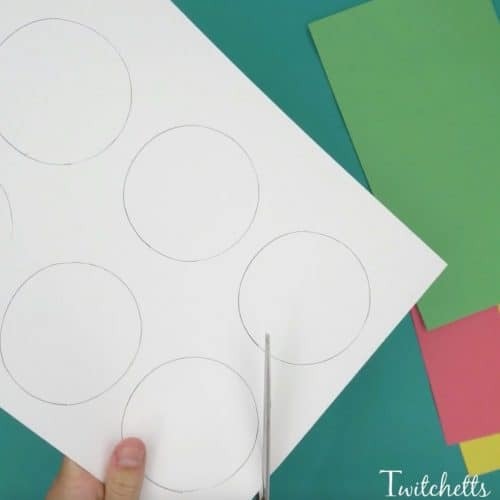 Using something from around the home, trace circles onto a piece of white cardstock. 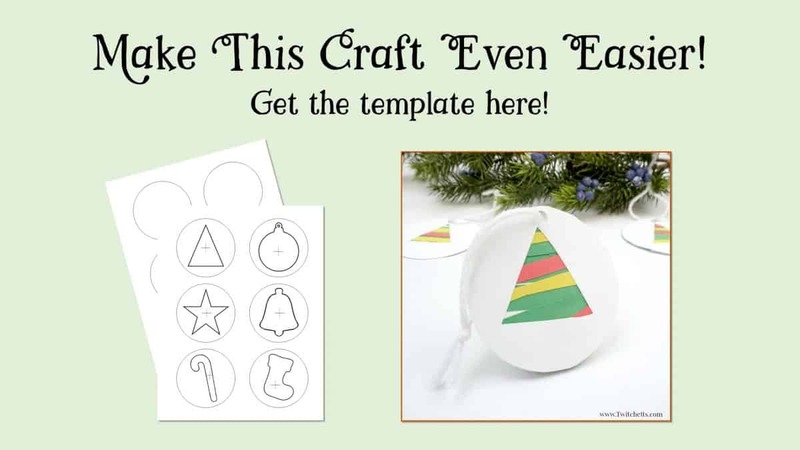 You will need 2 circles for each ornament. Then carefully cut them out. 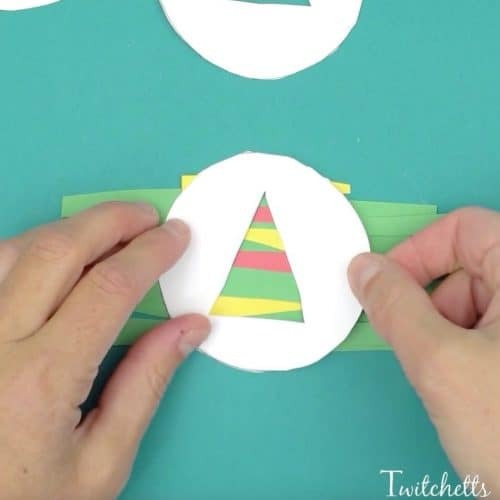 You can cut them apart into squares to make getting around the circle easier for their little hands, or you can precut the circles for this craft. Next, start cutting those strips! You will need mostly green and a few from any other colors you have lying around. 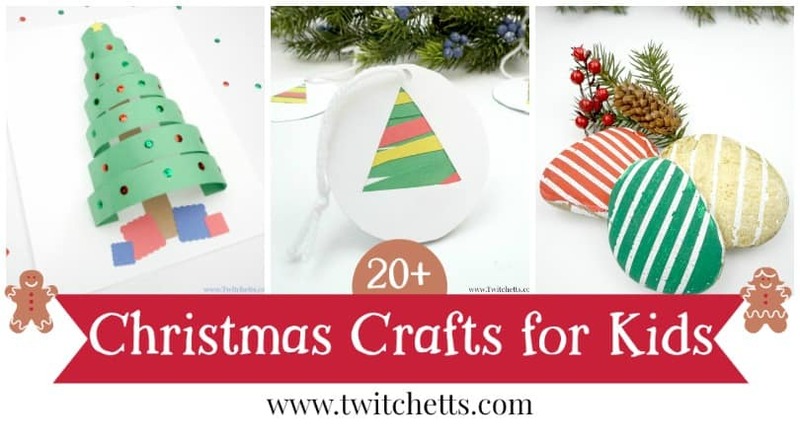 This is an excellent way to use up some scraps of paper you might have left over from previous projects. 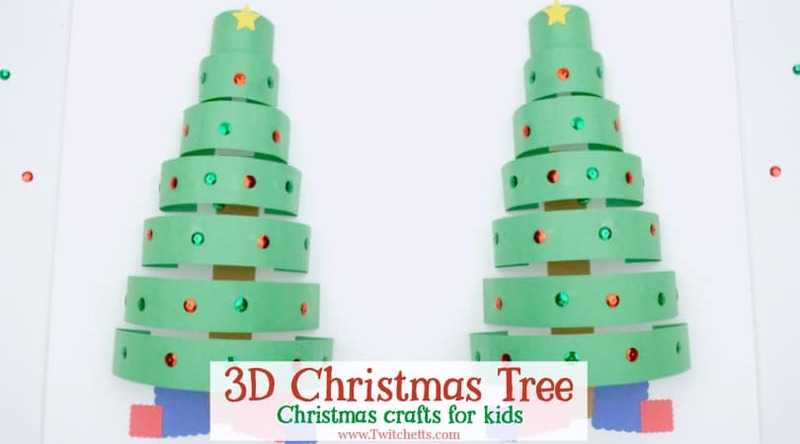 Start with a little snip in the middle and cut out your tree. 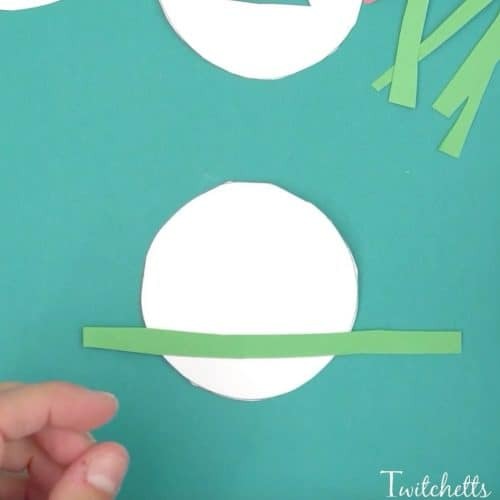 Now grab one of the whole circles, with the ink side up, and add some glue. Place the strips, one at a time, horizontally onto the glue. You can do green first, then colors, or just mix and match. 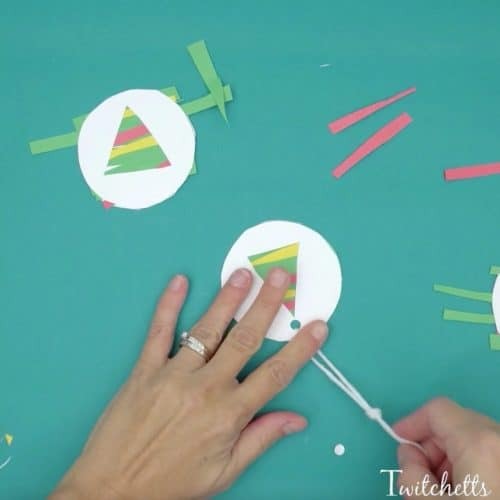 When the circle is covered add glue to the ink side of the triangle circle and place on top. 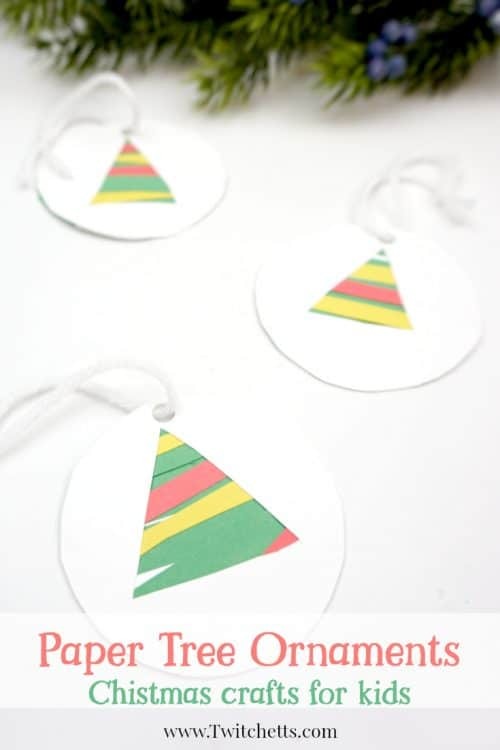 Related Craft: Bead ornaments that kids can make! Trim the edges and add the year on the back! Punch a hole in the top and tie on some string. 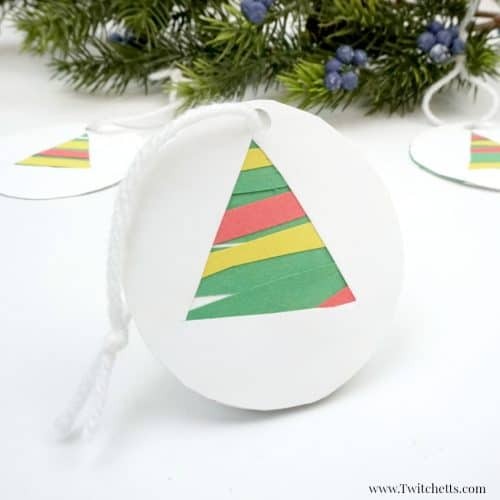 And your paper Christmas tree ornament is ready to be passed out! 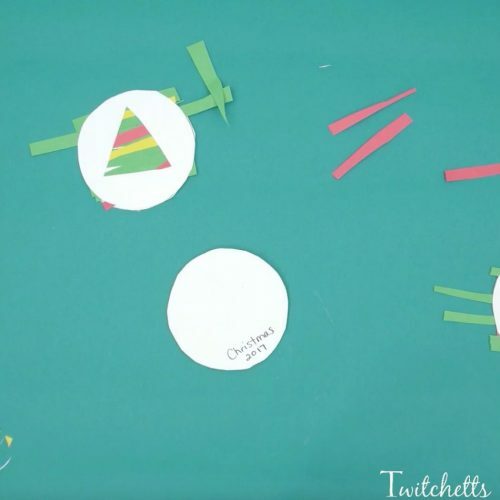 Check out the quick video to see the whole paper Christmas craft from start to finish. 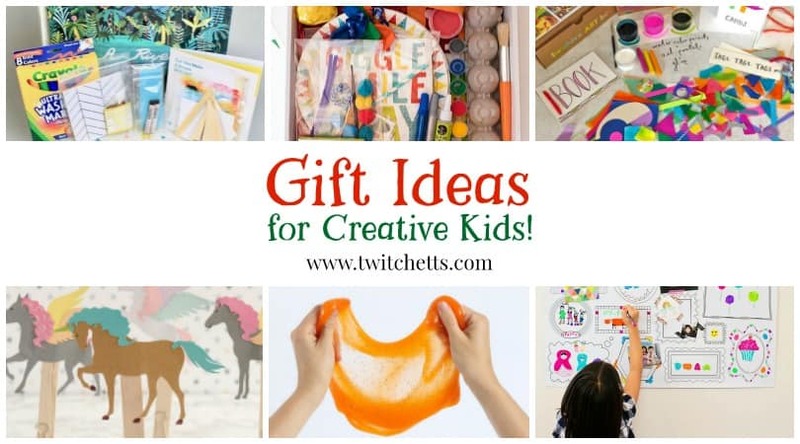 These make excellent gifts or gift tags! Don’t’ forget to pin this to your favorite Pinterest board!